Carat HTML Template is focusing on helping to create a perfect website for your car dealership business, rental service or car magazine. You will get a value of three different websites in one package! Everything in modern and clean flat style and written in beautiful code. Mega menu is also supported. 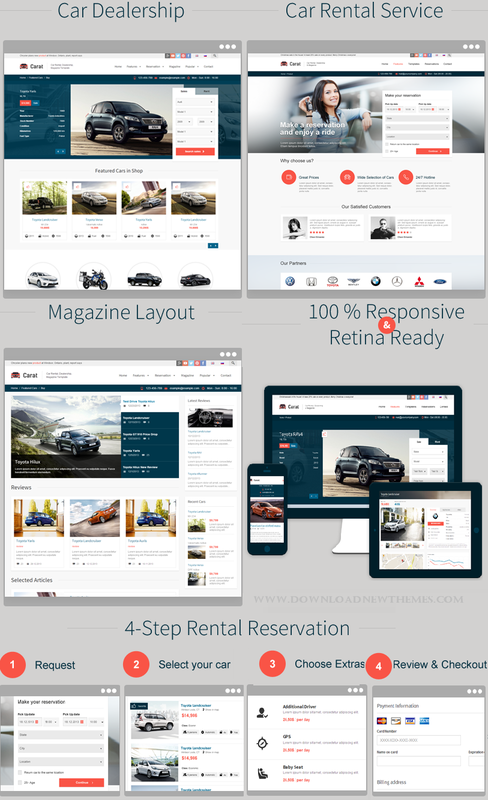 Item Reviewed: Carat - Responsive Automotive HTML Template 9 out of 10 based on 10 ratings. 9 user reviews.